A 4,000-acre refuge. Well-known for hiking, biking, bird watching, and photography, kayaking and boating, and teeming with walking trails. Open daily with free admission, there are wonderful swamps to explore – but do watch out for the alligators! 45 minutes by car southwest of Hilton Head. The Savannah River offers more than 29,000 acres of hardwood trees lining tidal rivers, creeks, and freshwater marshes. The 605-acre tract of forest includes walking and horse trails. If you prefer, there are guided tours, boat tours to see alligators and wagon rides. Near Palmetto Bay Road, this 50 acre preserve is filled with blue heron, turtles, and alligators sunning themselves around the Broad Creek Hilton Head forest pond. A family haven which welcomes young children and dogs – pack a picnic and make a day of it. Consider the ecological wonders of Hilton Head South Carolina - and more – consider the real estate along the South Carolina coast. Any of the locals will attest to the value of spending a greater amount of time in nature, and spending that precious time with family. We are here to help and only a phone call away. Let’s chat, let’s meet and let’s explore together; both this vista of natural beauty incredibly and its unique relationship to one of the best market investments you will ever make. Russ Fielden - local Waterfront | Oceanfront Realtor and Broker-In-Charge of Southern Coast Realty. 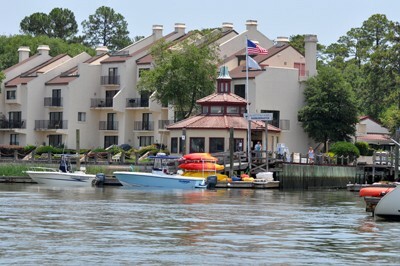 Offices in Beaufort SC and Hilton Head Island SC. 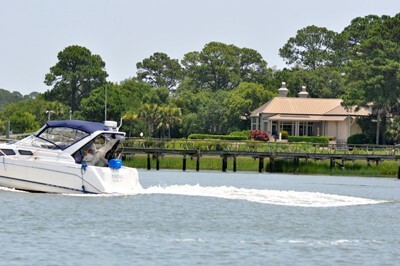 I handle all types of property transactions with a special emphasis on waterfront and oceanfront property in the Beaufort, Bluffton, and Hilton Head Island area. I spend most of my time researching waterfront property and advising waterfront buyers along the many rivers, creeks, islands and beaches in all of Beaufort County. If you are in the market for waterfront or oceanfront property and looking for a motivated responsive buyer’s agent who knows about customer service, then I might be the the guy for you. Russ @ (843) 812-8862 or use the contact tab on the menu bar to send me an email. You can also reach me at thecoastalguy@gmail.com.